If you crave barbecue pork then look no more. 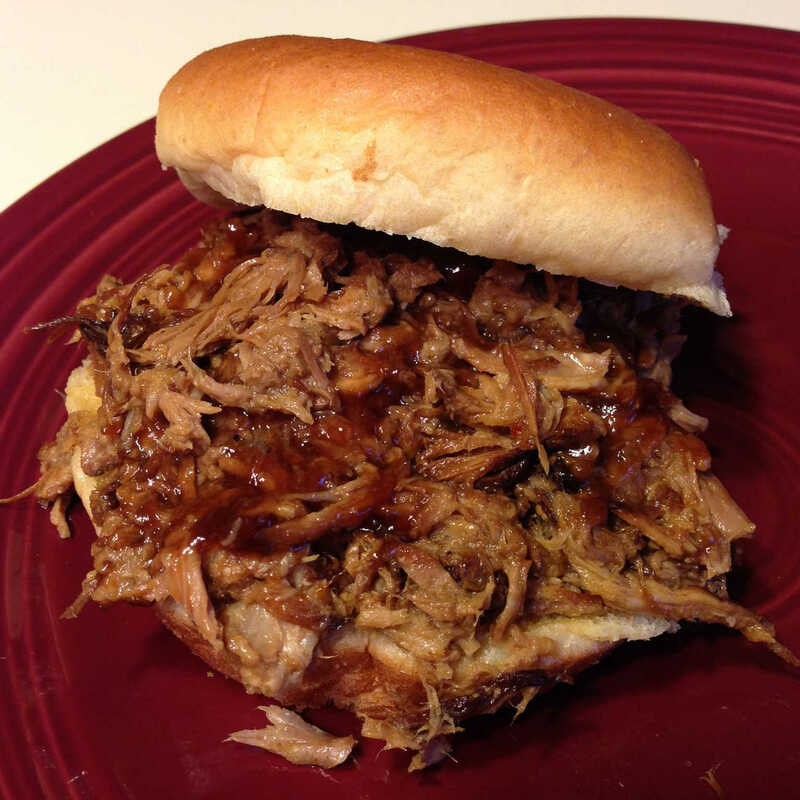 This is by far the easiest, best pulled pork recipe I have found because you don’t fire up the grill or a low-and-slow smoker to get the job done. You cook up a vinegary (North Carolina style), saucy (Kansas City BBQ style) sauce, pour it over the pork in a slow cooker and walk away. It’s so easy you can make this version in your sleep. 2) Pour off all but 1 Tbsp. of fat from skillet. Add the onion; cook over medium-high heat until golden, about 5 minutes. Add vinegar; cook, stirring to scrape up browned bits, 2 minutes. Stir in ketchup, molasses, brown sugar, red pepper flakes, Worcestershire sauce, mustard, salt, pepper and paprika. Cook stirring occasionally, until mixture begins to bubble, 1 minute. Pour over pork. 3) Cover slow cooker; I like to cook on high for first hour then turn to low for 6-7 hours until pork is tender. Can cook 4 1/2-5 hours on high if you can’t wait. 4) Transfer pork to cutting board; shred, discarding fat. Skim excess fat from juice, then add to shredded pork to desired juiciness. Stir to combine and serve on buns with good Cole slaw. It is excellent when covering a cookie sheet of nachos, topped with cheese, jalapenos, chopped green onion, salsa and sour cream.